It's finally happened. While the story of Daniel Bryan is much more glamorized, the story of Dean Ambrose might be the biggest overcoming the company story in the last 10 years. Ambrose is now the WWE World Heavyweight Champion and it's been a long time coming. Ambrose didn't have the big Wrestlemania storyline, nor did he have the momentum that his other cohorts in the Shield were given. Ambrose earned his shot, from day one, and became one of the most popular superstars in the WWE instantly as a singles performer. What made me really happy about his win is the journey he took to get here. Let's take a look. After the Shield breakup, the WWE seemed determined to push Reigns to the moon. 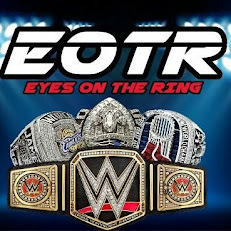 He was put in a big feud with Orton and the Authority and it seemed as if he was the guy to go with. Well, for those of us with common sense and eyes, we knew that wasn't the case. Dean Ambrose and Seth Rollins were feuding and it would spill over into the Money In The Bank Ladder Match two years ago. It was this match that stood as the turning point for Ambrose, as his return to the match after being taken out was met with one of the most resounding responses from a crowd ever. EVER. It was an Attitude Era esque reaction from the crowd, and we knew that Ambrose was a made man. With all his popularity, you would think he would be on a path to win big right? WWE had Ambrose losing every match. 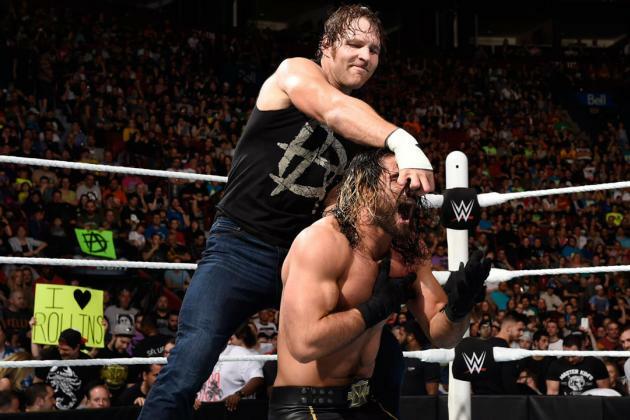 Ambrose couldn't buy a win on PPV, aside from a victory over John Cena to earn a shot against Seth Rollins. Not a shot at the WWE Title. No. A shot at Seth Rollins in Hell In A Cell. From there, Ambrose would engage in a silly feud with Bray Wyatt that failed to live up to expectations and Ambrose would lose anyway. We then watched Ambrose be tossed out of the Royal Rumble and end up lost in the shuffle in the IC Title Ladder Match at Wrestlemania 31. He was without direction and it seemed as if the WWE didn't know what to do from here with him, so he managed to sneak his way into a WWE Title Feud with Rollins. No one expected Ambrose to actually win the title, but the thought was nice at least. Ambrose would have some false finishes before eventually losing the match and getting taken out of the title picture. He would spend the fall months of 2015 helping get Reigns over again with the crowd and taking a backseat to Reigns, something that most fans didn't like. Ambrose would make it to the Finals of the Survivor Series WWE Title Tournament, only to lose to Roman Reigns (surprise, surprise) and then he moved onto to the Intercontinental Title picture, a place he was in just 9 months prior at Wrestlemania 31. At this point, Ambrose was a former US Champion and sometime main eventer who couldn't win the big one. Modeled after a Brian Pillman, Mick Foley, mixed with Stone Cold flavor, many felt Ambrose didn't need the title, but I knew he was perfect for being champion. The company just wouldn't give him that shot it seemed. After winning the Intercontinental Title, Ambrose would end up as the last man eliminated from the WWE Title Royal Rumble Match, coming THIS close yet again. He would have yet another opportunity to get a title shot in the triple threat no. 1 contender's match at Fastlane, but Reigns would win that one (surprise, surprise). After this match, Ambrose set his sights on Brock for a Wrestlemania encounter. That seemed like a big marquee match, and on any other Wrestlemania, it would be. It was the most anticipated match of the card for me. Ambrose would have a detour on his Road to Wrestlemania however, as he would face Triple H for the WWE Title. This is what fans wanted from the jump. 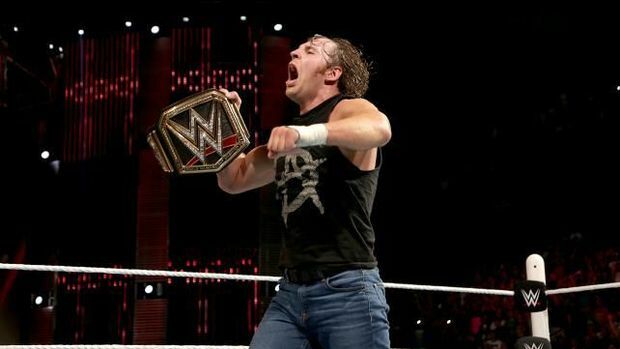 Ambrose fighting for the title. Unfortunately, he lose cleanly to Triple H, which was dumb, then go on to lose against Brock at Mania. His momentum was all screwed up. It would be his feud after with Chris Jericho that really saw a shift for Ambrose in both a negative and positive way. Ambrose and Jericho had a dope first match at Payback, then a mess of a match at Extreme Rules. 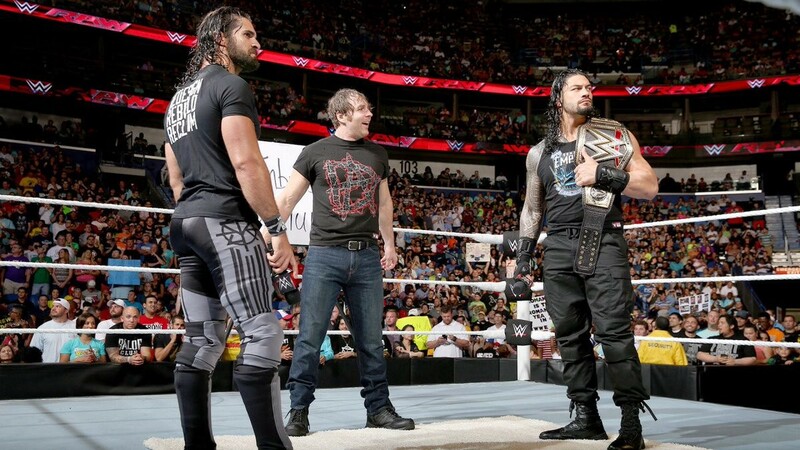 However, that feud would set the tone for Ambrose advancing to be in the Money In The Bank Ladder Match. Ambrose would be the favorite going into the match anyways along with Kevin Owens, as most people couldn't imagine a Jericho, Del Rio(again), Cesaro, or Sami Zayn winning. As Ambrose walked up the ladder and pulled down the briefcase, there was a sigh of relief. It felt like he was finally getting his shot and could actually be considered for the WWE Title. How right that would be, as Ambrose would cash in his briefcase after Rollins won the title from Reigns in the main event. It was something that made me excited and honestly it sets a tone for the future. Ambrose is in the driver seat. 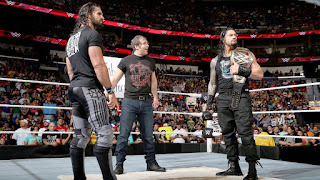 It could mean huge things, likely starting with a Shield Triple Threat at Summerslam. Ambrose scratched and clawed to the top. 2 years prior, he went out and got one of the biggest reactions of the last 5 years, and lost. After a long losing streak on PPV, false title wins, countless main events where he came up short, and the company putting Reigns over him again and again, Ambrose has finally arrived. His journey to the title was long, it was tough, but it's finally over. He is the WWE Champion. Congratulations Dean, it's well deserved. And overdue.